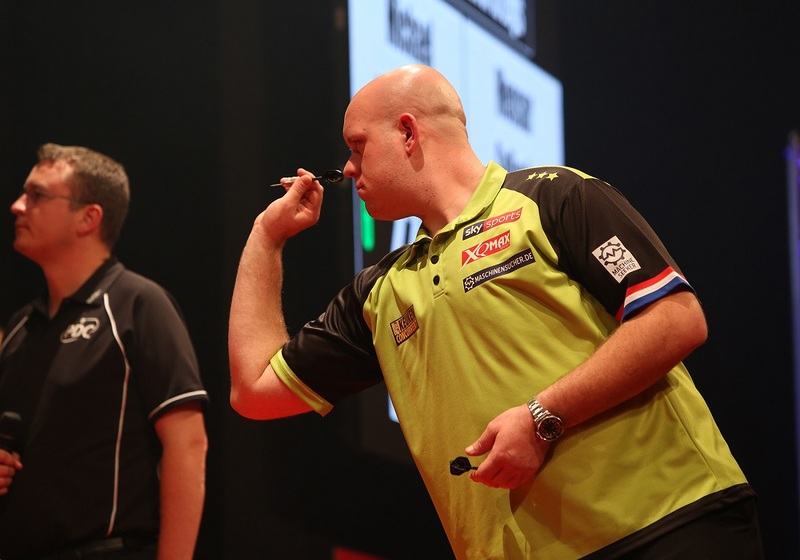 The final of the 140,000 pound tournament saw the world's top two go head-to-head in a sensational encounter, with reigning World Champion Van Gerwen producing his best performance of the weekend, averaging 104.79 to edge a gripping contest. 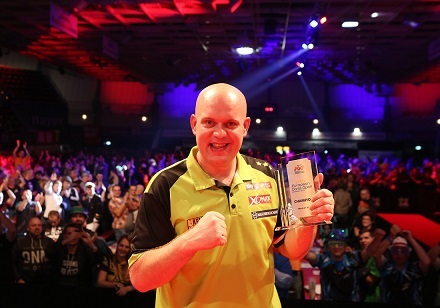 "Everyone always thinks I am a robot but I'm not a robot and today was one of the days where I had to work really hard to win," said Van Gerwen, who has hit three nine-darters so far in 2019. "Rob played so well in this tournament, I knew I had to perform well if I wanted to beat him and it was really tough for me. "He was a bit unlucky at the end but I hit the big shots at the right moments so I'm happy with my performance." A sensational start to the final saw Van Gerwen land a 170 finish in the opening leg, before breaking throw in the next to double his advantage. However, Cross, who averaged over 100 in every game of the tournament, came roaring back with a 95 checkout followed by a 12-darter to level at 2-2. Cross found double 16 to break throw again and hit the front for the first time at 4-3, with both players averaging over 110, only for the Dutchman to break back immediately. Four consecutive holds of throw followed, and at 6-6 the tie seemed to be heading to decisive 15th leg, but Van Gerwen hit a 13-darter to go within a leg of victory, before taking out 78 to scoop the 25,000 pound top prize. Despite coming so close to a maiden European Tour crown, Premier League table-topper Cross remained upbeat about his impressive form in 2019. 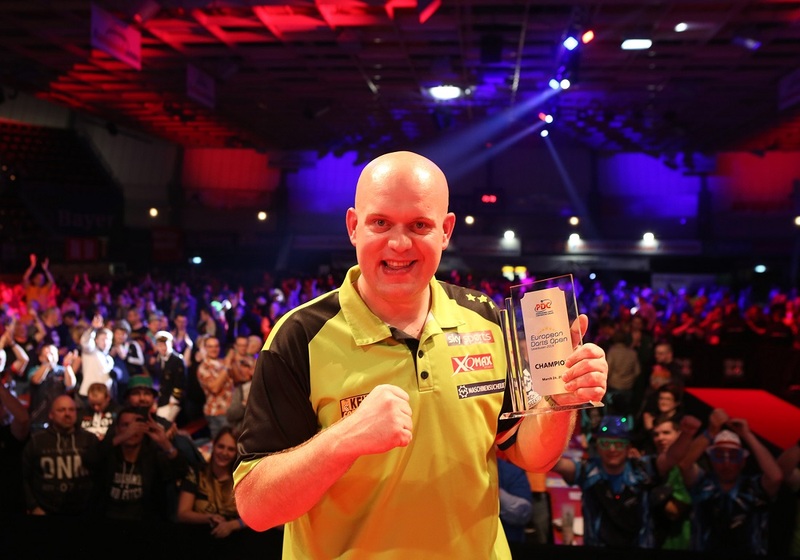 "I feel brilliant at the moment, and I only feel that I'm going to get stronger," said Cross, who defeated Van Gerwen for the first time on the Leverkusen stage in 2017. "I really enjoyed that final too and it's nice to be playing well again in front of a great crowd. "I'm going to push Michael every week, he's the best in the world for a reason but I'm not going to stop until I get a piece of him." 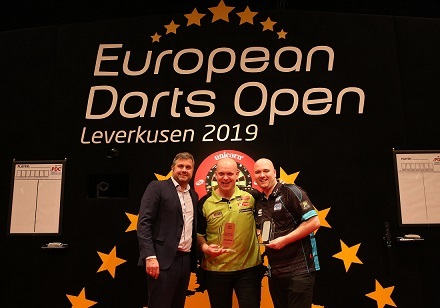 The European Tour returned in style with an exceptional weekend of darts which saw 48 players in action across the weekend, with 16 making it to Sunday's Finals Day, which saw the last 16 matches take place in the afternoon session, followed by the quarter-finals, semi-finals and final in the evening. 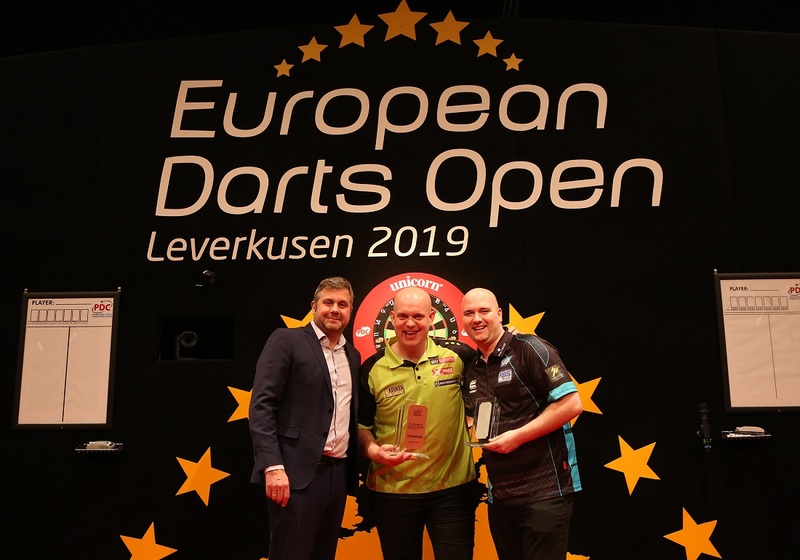 Three of the world's top four made it through to the semi-finals, where Van Gerwen struck a roof-raising perfect leg against Suljovic, which was a 21st of his career and a third in PDC action in 2019. The world number one took a unique route to perfection, landing a maximum followed by a 174, before taking out 147 via treble 19, bullseye and double top for a game-changing moment.